As part of the ongoing celebration of the team’s centennial, the Chicago Bears announced that they will be seeking fan input as the club gives $1 million to local charities. The Chicago Bears have had a busy offseason, and if you’ve missed any of the moves that they’ve made, we have this handy tracker just for you! 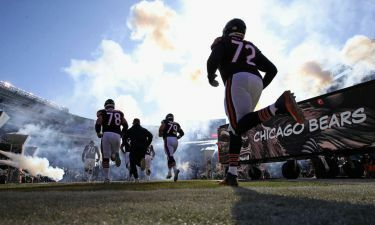 The Chicago Bears have officially released their 2019 regular season schedule, and the team is going to face some serious challenges as they look to repeat as NFC North champions. The Chicago Bears and Oakland Raiders are set to square off in London this fall, and fans now have a date that they can circle on their calendars for the game. After suffering a catastrophic knee injury during the 2017 season, Chicago Bears tight end Zach Miller announced that he will "move on from playing the game of football." The Chicago Bears have added another kicker to their roster on Friday, agreeing to terms with Elliott Fry on a three-year pact. 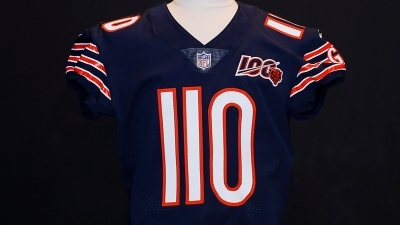 The Chicago Bears pulled one over on fans when they revealed their “triple digit jerseys” for April Fool’s Day, but the look is going to serve an even greater purpose now that the holiday is over. 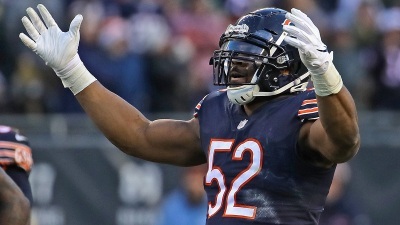 The Chicago Bears are getting ready to celebrate their 100th anniversary this season, but could they celebrate by changing up their jerseys in a way that's never been done before? 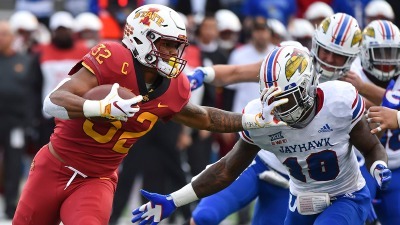 The Chicago Bears don't have a first or second round draft pick this season, but they could still make a move to snag a running back as they look to replace Jordan Howard. 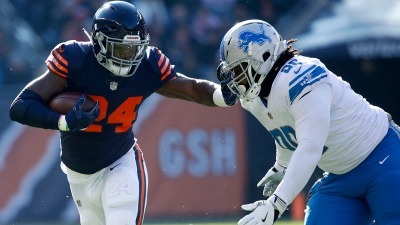 After his three-year career with the Chicago Bears came to an end on Thursday, running back Jordan Howard sent a message to his fans as he heads to the Philadelphia Eagles. Football in Chicago isn't always pretty. But Chicagoans like a gritty, smash mouth style. NBC Chicago's Bears blog is much the same, rough around the edges but thrilling every time. Follow along for colorful coverage of your favorite NFC North squad.